The Hydran M2-X is the next generation of the field-proven family of Hydran DGA monitoring solutions, providing continuous monitoring of gas and moisture levels to alert users of developing faults and minimize the risk of unplanned outages. The M2-X builds on GE’s strong domain expertise to deliver an optimized, low maintenance monitoring device with extended sensor life. The Hydran sensors are available as a traditional Hydran composite gas (H2, CO, C2H2, C2H4) sensor or a discrete Hydrogen only (H2) sensor. 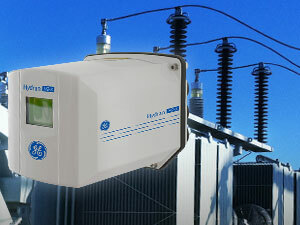 In addition, it tracks moisture in oil (reading in %RH and ppm) and is compatible with various transformer oil types (standard mineral insulating oils and newer natural and synthetic ester based fluids).